As you know, Mak Tumang is the designer behind Miss Universe Catriona Gray’s iconic gowns such as the Mayon and Adarna for the pageant and the Sampaguita and Alon for her grand homecoming. But even before Catriona was crowned queen, they’ve had a working relationship since her Miss World days. You’ll recall that she placed in the pageant’s top five in 2016. It was that year that started it all for Mak, who shared the “butterfly effect” story on Instagram. 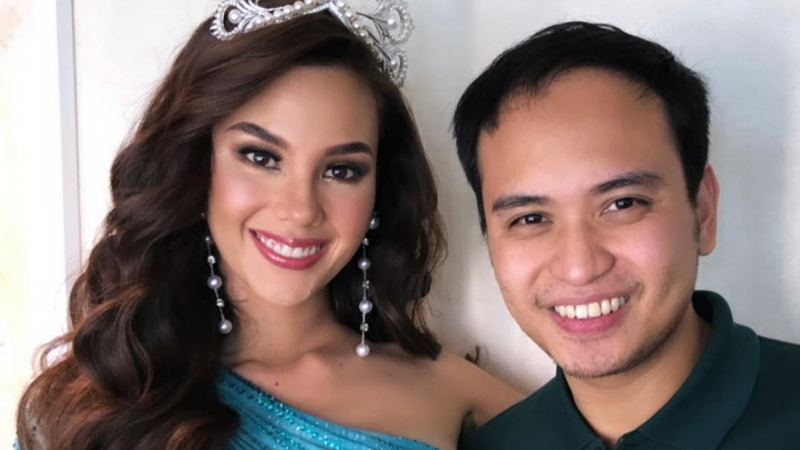 Mak shared screencaps of a message thread with stylist Reynaldo V. Santos Jr., who approached him about creating a gown for a top-secret Miss World Philippines contestant. The screening was in two short weeks and Mak delivered quickly—“parang kidlat” in the stylist’s words. Swipe to see their messages!